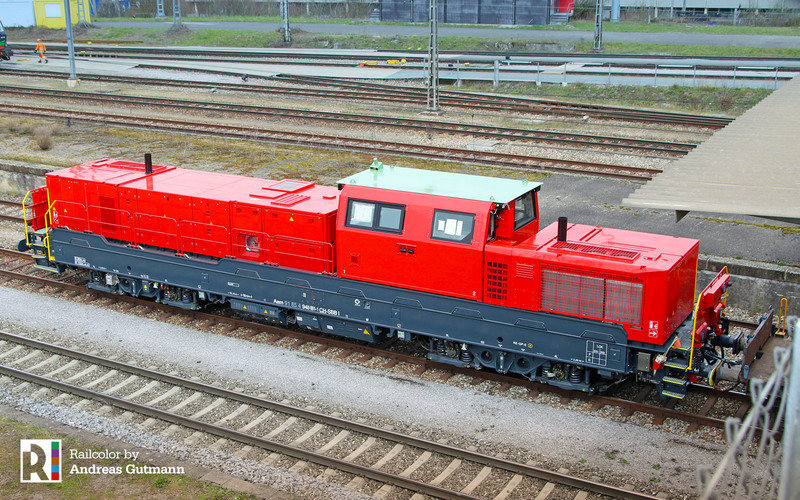 This is locomotive 91 85 4940 001-1 CH-SBBI. 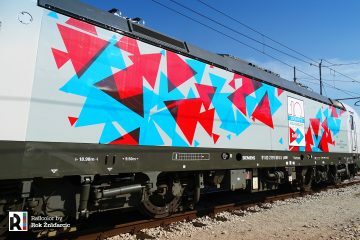 It is the first Alstom ‘Prima H4’ dual mode locomotive for the Swiss Railways (SBB). 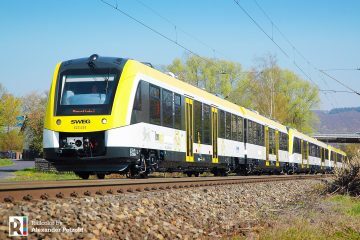 Back in 2015 SBB ordered 47 machines from the French manufacturer for its infrastructure division. The order has a volume of €175 million. 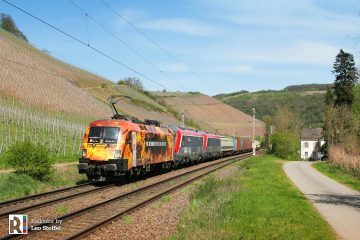 The new SBB ‘Aem 940’ series locomotives are dual mode, they are both electric and diesel-electric. Under 15kV 16 2/3 Hz AC catenary these machines will have a maximum power output of 2.000 kW (1.735 kW nominal). In diesel mode the total power at wheel rim is 900 kW. The Aem 940 has two power packs of which one will be switched off if the requested power is under 450 kW. 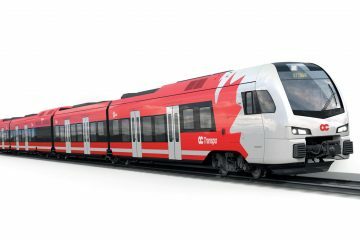 SBB Infrastructure will use the new locomotives for track works on SBB’s rail network and for shunting in the shunting yards of Lausanne Triage and Limmattal. 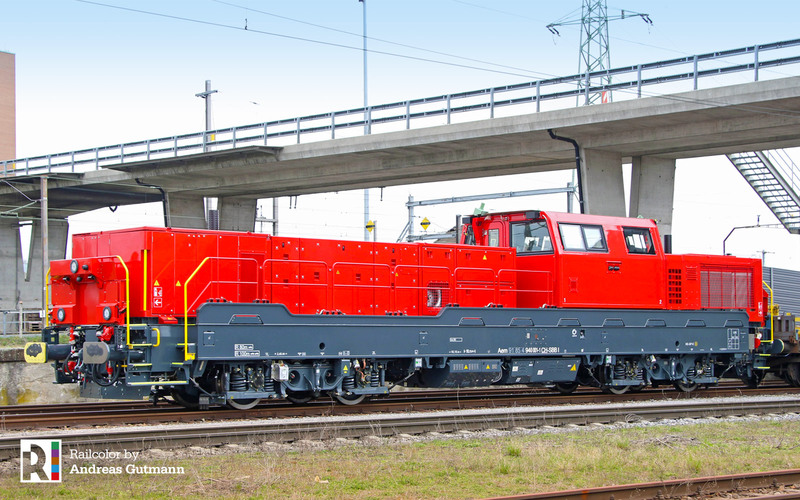 The Aem 940 series will replace the Am 841 diesel locomotives and the remaining Ee6/6II shunters in Lausanne for example. 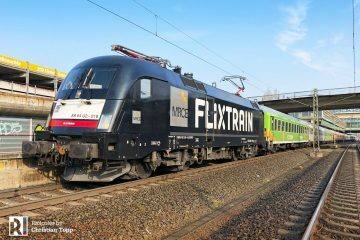 The locomotives with one centrally placed cabin are being produced in Belfort, France. 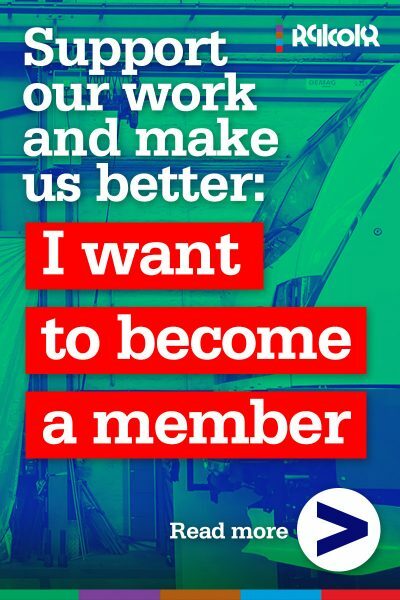 The large cabin (up to 4 people) has been conceived as a “working and waiting space” as track workers will not only be travelling aboard the train, but also spend time in the cabin while working on construction sites. 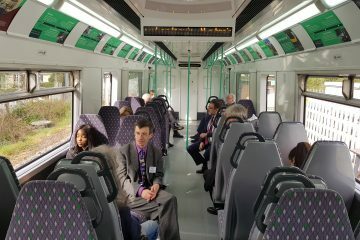 The cabin is equipped with an HVAC (heating, ventilation and air conditioning) system and storage space for the personal belongings of the train crew. It is also protected against vibrations and air pressure when entering tunnels. 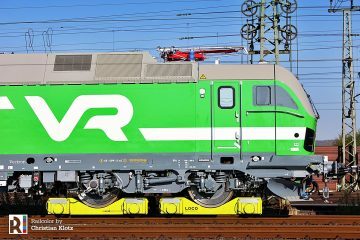 An automatic start-stop system enables a 20% reduction in diesel fuel consumption compared with a single engine diesel locomotive. 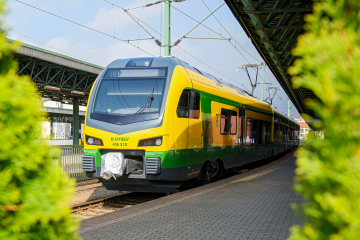 When all Aem 940s will be delivered, SBB Infra will be able to reduce its CO2 emissions by up to 6,000 tons per year. 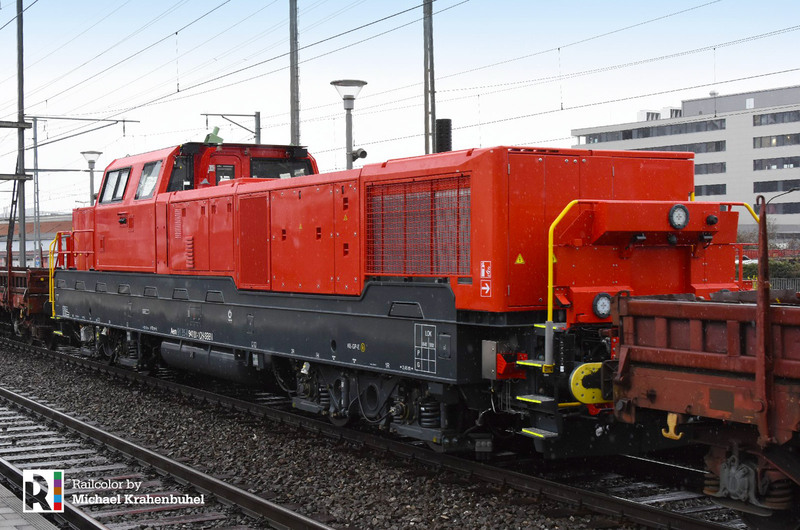 The Aem 940 is fitted with ETCS. Diesel tank volume of a Prima H4 goes up to 3 400 liter for the versions equipped with two diesel engines. 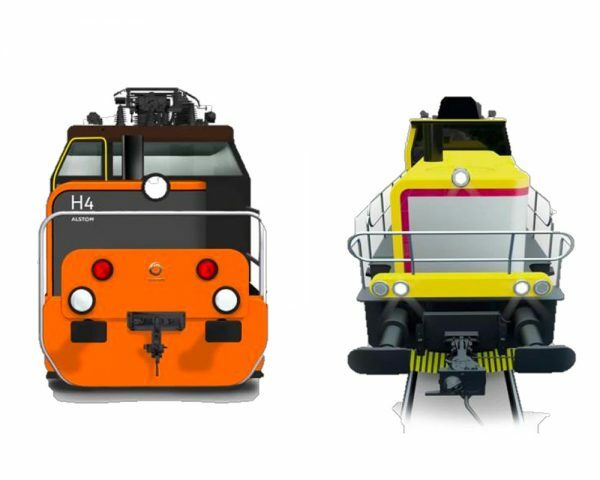 The Prima H4 can be equipped for four different catenary systems: 25kV AC, 15kV AC, 3kV DC and 1.5kV DC. Update 03.04.2018: More images coming in from Muttenz. Note the placement of the entry doors – requiring an extra passage between cab and hood.